Canadian specialty pet food and supplies retailer Pet Valu has increased its support for Lions Foundation of Canada Dog Guides with sponsorship of the Dog Guides Feeding Program. In addition to providing the food and treats required by the foster puppies and dogs in training, Pet Valu continues to be the title sponsor of the annual Walk for Dog Guides and, this spring, they hope to surpass more than one million dollars in funds raised in-store for Dog Guides. 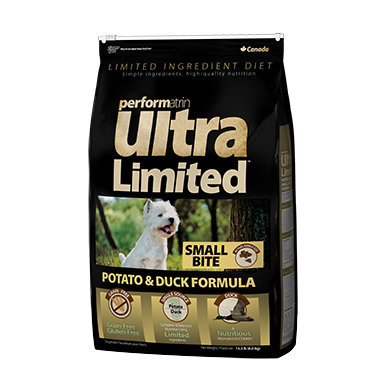 Through the Feeding Program sponsorship, Dog Guide foster puppies and dogs in training will be fed Performatrin and Performatrin Ultra, a made in Canada, premium pet food that is Pet Valu’s number one brand. Pet Valu began its support for Dog Guides in 2014 with the production of a donate-what-you-can calendar. Filled with stunning pet photos, pet care tips and coupons the calendar is available annually in all stores with 100 per cent of the donations going to Dog Guides. With donations received from the calendars and other fundraising products, Pet Valu has sponsored 114 Dog Guide teams across Canada. In 2017, Pet Valu became the title sponsor of the Walk for Dog Guides, an annual fundraising walk that is held in more than 300 communities across Canada. Through this sponsorship, 100 per cent of the funds raised through the Walk go directly back to Dog Guides. Dog Guides are available in seven programs: Canine Vision, Hearing, Autism Assistance, Diabetic Alert, Seizure Response, Service and Support. Each Dog Guide costs approximately $25,000 to breed, foster, train and place. Although Lions Foundation of Canada receives no government funding for its Dog Guide program, all Dog Guides are provided at no charge to their handlers. In addition to Dog Guides, Pet Valu stores across Canada also support more than 400 local pet charities, shelters and rescues during annual adoption and fundraising annual events, including Pet Appreciation Month and Thanks-for-Giving. For more information about our sponsorship of the Feeding Program with Lions Foundation of Canada Dog Guides please click here. Pet Valu, Inc. is a Canadian specialty retailer of pet food and pet-related supplies with more than 950 stores across Canada and the U.S. The Pet Valu family of stores consists of Pet Valu Canada, Pet Valu US, Paulmac’s Pet Foods, Bosley’s by Pet Valu, Total Pet, and Tisol Pet Nutrition & Supply stores. To learn more about Pet Valu, visit petvalu.com. MARKHAM, Ont. (March 28, 2018) – In recognition of Pet Appreciation Month, this April, each of Pet Valu’s 566 stores across Canada has teamed up with a local animal welfare organization in their communities to raise dollars and find forever homes for local pets in need. The Canadian specialty pet retailer aims to raise more than $1.7 million by selling paper paws in their stores throughout the month, and to find forever homes for more than 2,500 homeless pets during its National Adoption Weekend. Now in its eighth year, Pet Appreciation Month is one of Canada’s most successful animal fundraisers, raising more than $6.6 million for Canadian animal welfare organizations to date. Throughout April, Pet Valu will be selling PAWs for $2, $5 or $10 at all its locations across Canada. 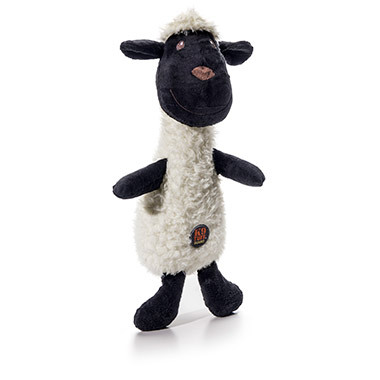 One hundred per cent of the proceeds will be donated to the animal charity supported by the store. Purchased PAWS will help dogs, cats, birds, rabbits, small animals and turtles. To help adoptable pets find forever homes, Pet Valu will be holding a National Adoption Weekend on April 20 to 22 at each of its stores. 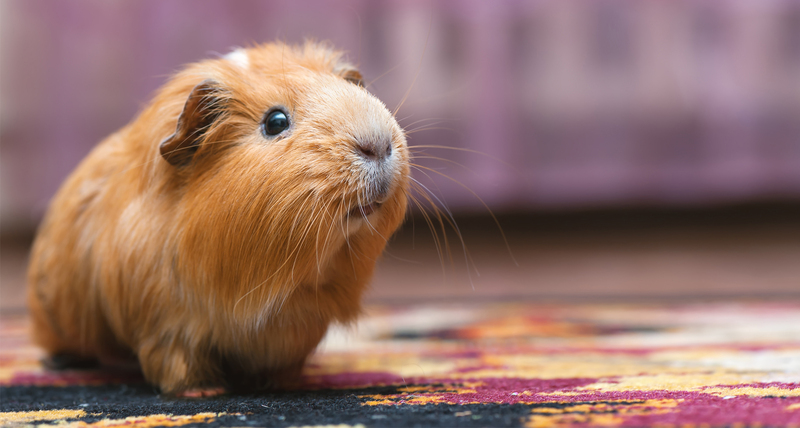 Local animal rescues will bring cats, dogs and in some cases small animals, including rabbits and guinea pigs, into the stores so customers can find the right pets for their personalities and lifestyles. Last year, more than 2,000 pets were adopted during that weekend. It’s a bird…It’s a plane…It’s Batdog! MARKHAM, Ont. (October 13, 2017) – If costume predictions hold true, this Halloween, furry superheroes will be out in force protecting trick-or-treaters from evil. 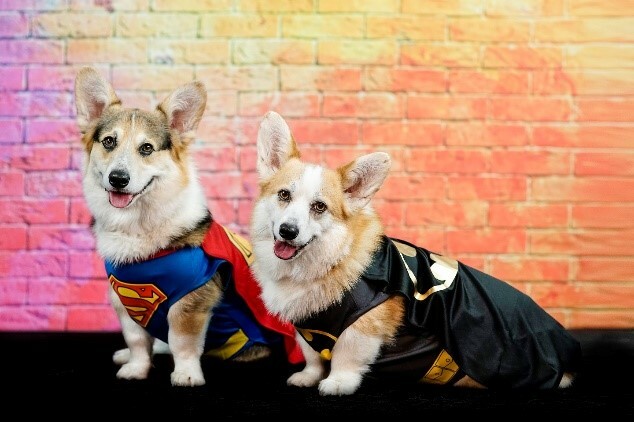 Leading Canadian specialty pet retailer, Pet Valu says Superman, Wonder Woman and Bat Man are the hot trends this year with fearsome costumes coming a close second to the Justice-League inspired capes and star-spangled skirts. If your dog will be trick-or-treating with your family, remember nighttime safety: outfit your dog in a reflective collar, leash and a LED collar light. As there will be crowds, leave the retractable leash at home and use a regular leash. Pet Valu, Inc. is a Canadian specialty retailer of pet food and pet-related supplies with more than 950 stores across Canada and the U.S. The Pet Valu family of stores consists of Pet Valu Canada, Pet Valu US, Paulmac’s Pet Foods, Bosley’s by Pet Valu, Total Pet, and Tisol Pet Nutrition & Supply stores. To learn more about Pet Valu visit petvalu.com. Pet Valu and Pet Supermarket merged in 2016 to create the third largest pet specialty retailer and the largest small format, neighborhood pet specialty retailer in North America – Pet Retail Brands – with over 1,150 stores across the U.S. and Canada. 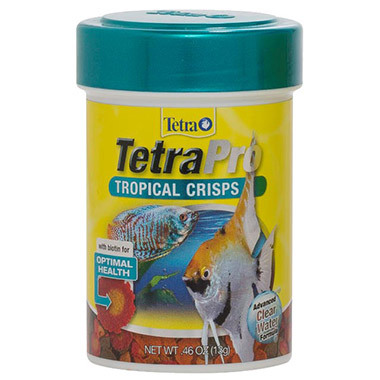 To learn more about Pet Supermarket, please visit www.petsupermarket.com. Customers are invited to make product and monetary donations at any Pet Supermarket or Pet Valu location in the U.S.
(PHILADELPHIA) – In the wake of Hurricane Harvey, Pet Supermarket and Pet Valu have launched a chain-wide donation drive to aid families and pets affected by this disaster. The company has also donated $100,000 in pet food and products. Pet Valu and Pet Supermarket stores will be accepting donations to support the Houston SPCA and other local shelters between now and the end of September. During the evacuations, many pets were lost or left behind and local animal shelters in the Texas area are in critical need of support. The seven Houston Pet Supermarket stores are closed and, like many business and homes, are under floodwaters. Pet Supermarket has 200 store locations in the Southeastern USA and Pet Valu has 350 stores in the Northeastern USA. 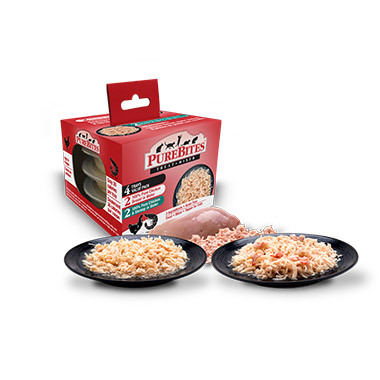 Pet Supermarket is a one-stop pet shop for customers, offering a broad selection of premium pet food, supplies and services sold by trained professional staff who provide knowledgeable and friendly advice, enhancing the overall customer experience. Small format stores provide pet parents with the convenience to shop locally in a community-oriented and caring environment, delivered by employees who develop lasting connections with their customers. 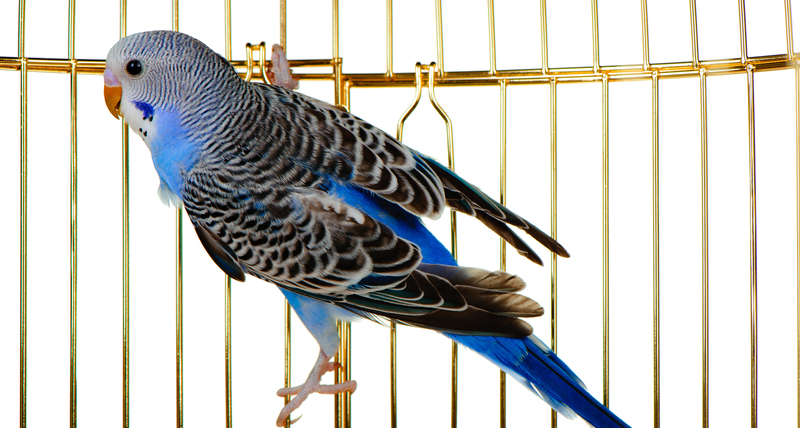 To learn more about Pet Supermarket, please visit https://www.petsupermarket.com. 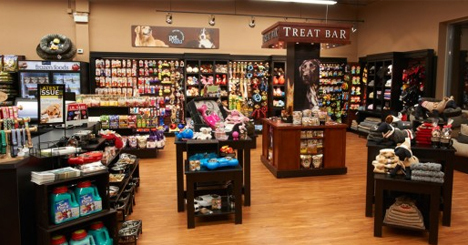 Pet Valu is a specialty retailer of premium pet food, treats, toys and accessories. 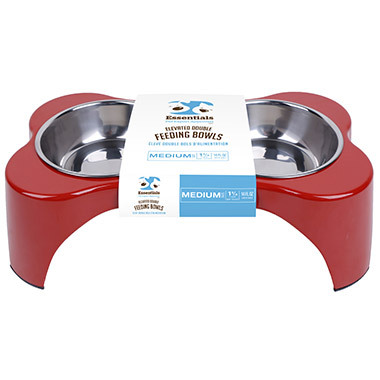 Their pet-friendly stores offer over 7,000 products including holistic and premium brands of pet foods and treats as well as a wide selection of essential and innovative pet supplies to suit every budget. Chain-wide, Pet Valu is dedicated to helping local pets in need and by partnering with local shelters, rescues and charities through national donation drives and fundraising campaigns. Pet Valu employees are Pet Experts and pet lovers, too. 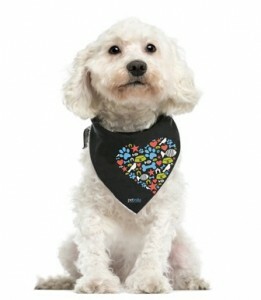 To learn more about Pet Valu, please visit http://petvalu.com. With experts predicting families who have been evacuated from British Columbia’s wildfires could be unable to return home for weeks, Canadian pet retailer Pet Valu has donated $100,000 worth of products to help animals affected by the fires. The donation, which includes litter, litter pans, dog and cat food and crates, was given to Four Paws Food Bank in Kamloops and the Prince George Humane Society which are on the front lines of desperate pet owners seeking help. Pet Valu has experienced firsthand the stress and disruption caused by the fires; its two stores in 100 Mile House and two stores in Williams Lake have been evacuated. The leading pet retailer anticipates additional stores in other communities will be evacuated in coming days. Pets from the evacuated stores are being fostered with staff members and arrangements are being made to ensure staff and pets in nearby communities will get out safely if the call for evacuation is made. In addition to its $100,000 product donation, Pet Valu is also accepting monetary donations at all of its stores across Canada so people can quickly and easily make a donation to the Red Cross. 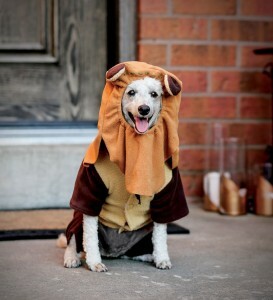 May the force be with pet lovers this Halloween. 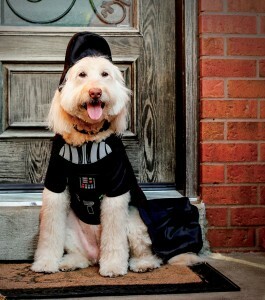 Pet Valu — Canada’s leading specialty pet chain — is predicting Star Wars inspired styles will be its most popular pet Halloween costumes of 2016. This week, Pet Valu debuted its top pet costumes for the 2016 Halloween season. 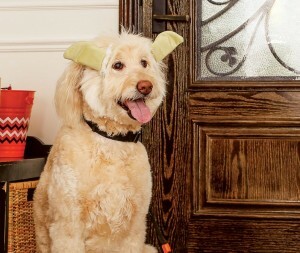 This year, its pet-friendly picks have an intergalactic feel – from Yoda to Darth Vader. “Star Wars is sweeping this year’s pet Halloween trend, with a range of adorable Facebook and Instagram-worthy costumes for pets of all sizes and temperaments,” explains Rose Ferrante, Director of Marketing, Pet Valu Canada. Ferrante says one reason for Star Wars’ blockbuster status this Halloween is that it lends itself to family and group Halloween themes. 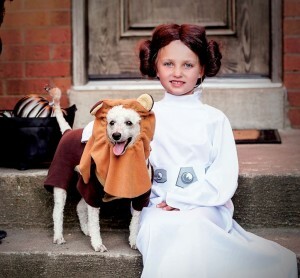 “A big trend we’ve been seeing over the past couple of years is a demand for matching costumes; where pet owners dress their children, dogs and themselves in coordinating costumes. So for instance, Darth Vader Dog, Yoda Dog, Chewbacca Dad — with a group of Kylo Ren, Rey, Luke and Princess Leia kids,” says Ferrante. 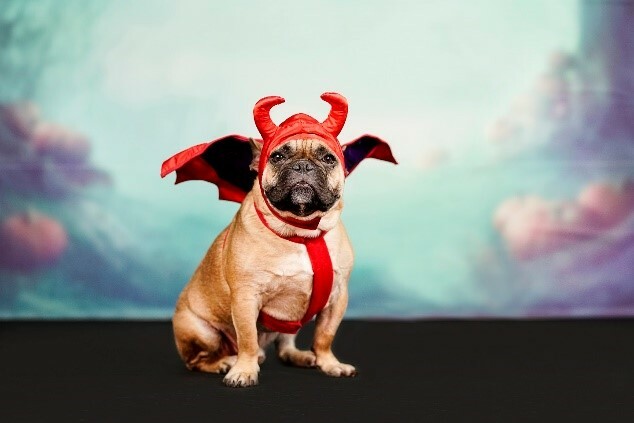 Ferrante estimates that about two thirds of Pet Valu’s Halloween costume sales are for small and medium-sized dogs; although the chain does offer a range of options for larger pets, including capes and headgear. On the trend front, Ferrante says demand for smaller animal head gear is on the rise. “Believe it or not, people who have patient and relaxed cats, rabbits and guinea pigs also like to get into the fun with easy-totolerate hats and headgear. It’s important to never force or stress your pet out with costumes,” says Ferrante. “Only do what your pet is comfortable with – and keep photo time to a minimum for most pets,” she suggests, adding that for safety reasons, only dress your furry friends in costumes that are specially designed for pets. While you can’t outfit your pup with a lightsaber, Ferrante says it’s important to make dogs visible to drivers and trick or treaters with LED collar clip-ons or light-up or reflective collars. In addition to bringing along clean-up bags and treats, Ferrante says pet owners should also give pets lots of encouragement throughout the Halloween family photo op or trick or treating excursion. Chocolat e and other Halloween goodies are dangerous for dogs, so Ferrante reminds pet owners to keep candies out of pets’ eyesight and reach. And, for those pet lovers who want to treat canine trick or treaters at the door, Ferrante suggests fun, healthy and affordable pumpkin- flavoured treats, which Pet Valu offers in various price ranges. To give thanks and help pets in need, Pet Valu stores are accepting product donations for local shelters all throughout October during the chain’s 5th annual Thanks-for-Giving event. Pet lovers can help by visiting their local Pet Valu store and donating an item from local charities’ Wish Lists. 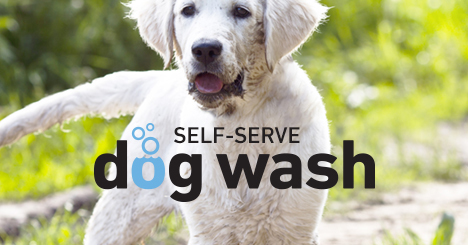 100% of customer donations go directly to local pets in need within your local community. The 2016 Pet Valu Halloween Collection is available in-store now. When it comes to Halloween photo ops, do or do not, there is no try. 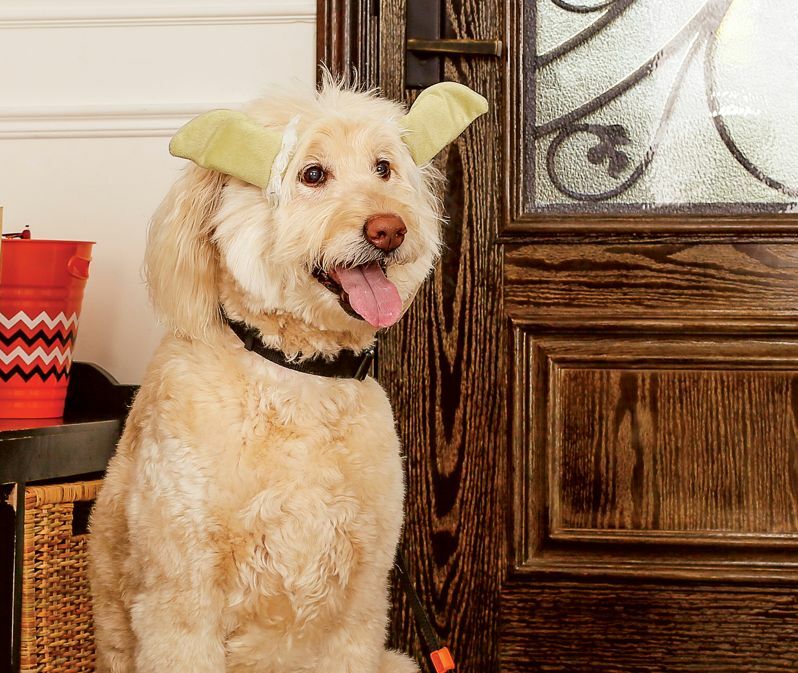 This adorable, easy-wearing costume is perfect for pet parents of dog and cat Jedis who don’t like to go out fully robed. Pet Valu’s Star Wars Ewok costume is the perfect complement to every furry face! This front-facing costume features a chest plate and head piece, Jedi powers sold separately. “Luke, I am… pretty darn cute!” This show-stopping pet costume features a Darth Vader chest plate, head piece and Vader’s trademark cape — allowing for easy movement and making it a great choice for hard-to-fit or large dogs. Cuteness overload. 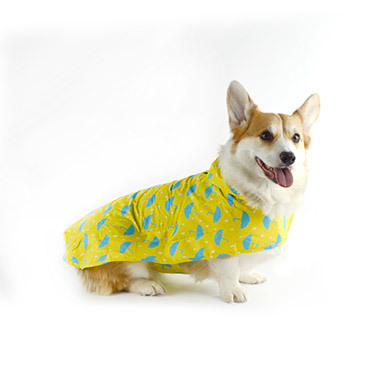 This Jockey costume is sure to be a runaway hit – the jockey even moves as your pet runs, adding to the fun. Love to match your children and pet’s Halloween costumes? 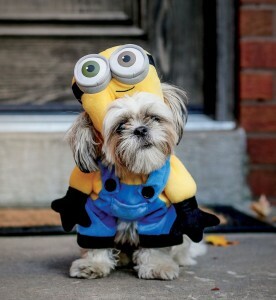 Pet Valu’s popular Minion costume gets an update this year with extended arms and a fancy new head piece. Final boarding call! This adorable aviator costume features a jaunty scarf and a Velcro-adjustable head piece with goggles. Equally fetching for Halloween and Christmas posts, this easy-wearing hat is perfect for pets who don’t enjoy the full-body Halloween experience. Somewhere over the rainbow, pet lovers are smiling at this sweet, whimsical option for dogs (and even cats!) who are too cool to wear clothes or headgear. For the classic pet, this easy-wearing, timeless costume, featuring a headpiece and collar – never gets old! O/S fits most dogs. Pet Valu Canada Limited www.petvalu.com is the leading Canadian specialty retailer of pet food and pet-related supplies with more than 760 stores across Canada and the US. Pet Valu Canada Limited is a British Columbia incorporated company with headquarters in Markham, Ontario. The Pet Valu family of stores consists of Pet Valu Canada, Pet Valu US, Total Pet, Paulmac’s Pet Foods, Tisol Pet Nutrition and Bosley’s by Pet Valu. Markham, Ontario and Sunrise, Florida, July 11, 2016 – Pet Valu and Pet Supermarket today announced that they have merged to create the third largest pet specialty retailer and the largest small format, neighborhood, pet specialty retailer in North America. 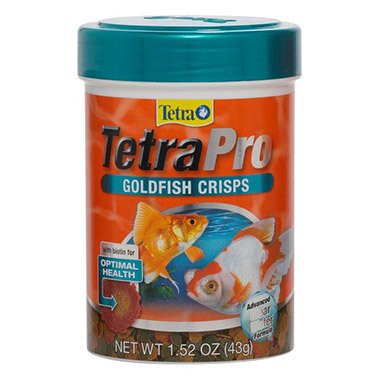 The combined business is named Pet Retail Brands. With over 930 stores, it will generate approximately $1 billion in system-wide retail sales across the US and Canada. Pet Retail Brands will have an extensive retail footprint with stores from the East Coast to the West Coast and from Miami to Vancouver and is well positioned for continued growth. Terms of the agreement were not disclosed. Both Pet Valu and Pet Supermarket are one-stop shops for customers, offering a broad selection of premium pet food, supplies and services sold by trained professional staff who provide knowledgeable and friendly advice, enhancing the overall customer experience. Small format stores provide pet parents with the convenience to shop locally in a community-oriented and caring environment, delivered by employees who develop lasting connections with their customers. Pet Valu was taken private by an affiliate of Roark Capital in August 2009. Pet Supermarket was acquired by an affiliate of Roark Capital in April of 2015. 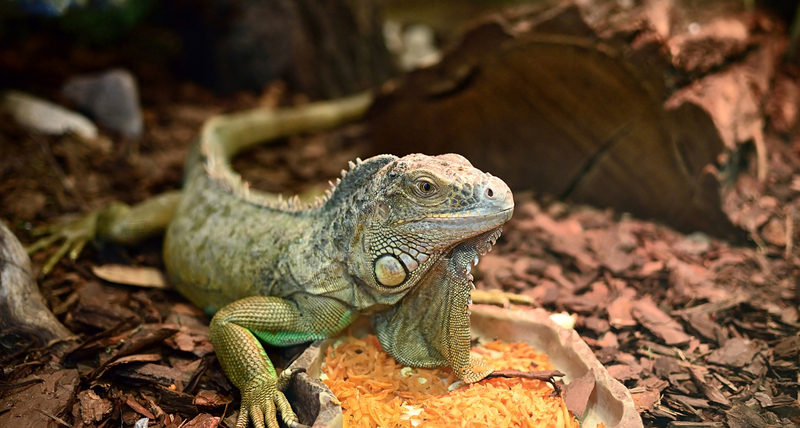 Pet Retail Brands will remain headquartered in Markham, Ontario and Pet Supermarket operations will continue to be based in Sunrise, Florida. As part of the transaction, Thomas McNeely will become President and Chief Executive Officer of Pet Retail Brands. Mr. McNeely has been Chief Executive Officer of Pet Valu since August 2009. Concurrent with the closing of the transaction, Diane Holtz announced her retirement from her role as Pet Supermarket’s President and Chief Executive Officer. Ms. Holtz joined Pet Supermarket in 1992 and has served as President and COO since 2002. She was President and CEO and a member of the Board since 2015. Pet Valu is a Canadian specialty retailer of pet food and pet-related supplies with more than 770 stores across Canada and the US. Pet Valu prides itself on providing pet parents with the best selection of pet care items at competitive prices, together with Pet Expert service, at convenient, neighborhood store locations. Pet Valu offers more than 7,000 products, including a broad assortment of premium, super premium and holistic private label brands scientifically developed by internal nutritionists. 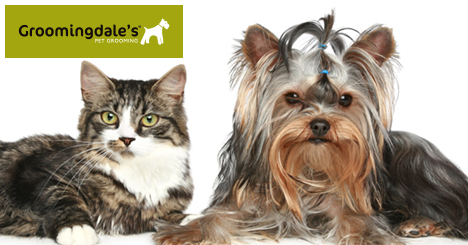 Pet Valu’s team members are Pet Experts who can help you find the right nutrition and other solutions for your pets. To learn more, please visit: www.petvalu.com or www.facebook.com/petvalu. Pet Supermarket is the largest small format specialty retailer of pet food and pet-related supplies based in the southeastern US. 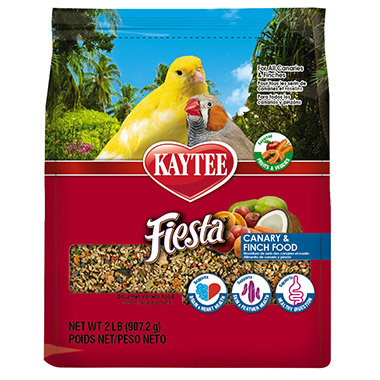 The Company operates 165 stores offering customers a broad assortment of premium and holistic pet food and supplies with friendly and knowledgeable service. Over 1 million customers are active members of the Company’s loyalty program. 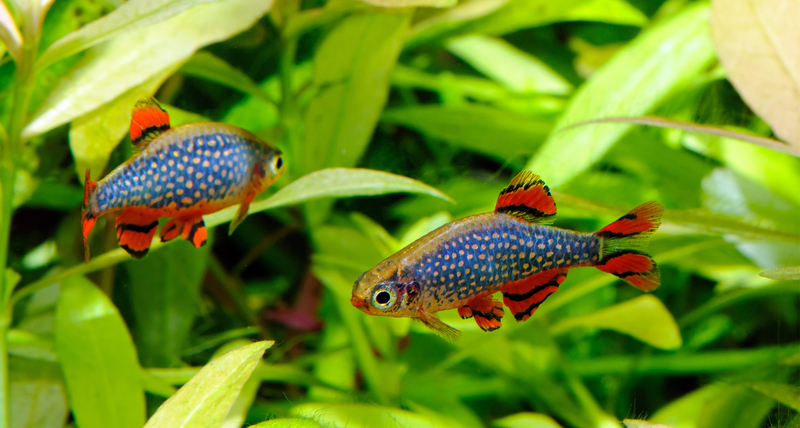 For more information please visit www.petsupermarket.com. Roark focuses on consumer and business service companies with a specialization in franchised and multi-unit business models in the retail, restaurant, consumer and business services sectors. Since inception, affiliates of Roark Capital have invested in 54 franchise/multi-unit brands, which have generated $20 billion in annual system revenues from 22,000 locations in 50 states and 75 countries. Roark’s current brands include Anytime Fitness, Arby’s, Atkins Nutritionals, Batteries Plus Bulbs, Carl Jr.’s, Corner Bakery, Driven Brands, DryBar, FOCUS Brands (the owner of Auntie Anne’s Pretzels, Carvel Ice Cream, Cinnabon, McAlister’s Deli, Moe’s Southwest Grill, and Schlotzsky’s), Hardee’s, Il Fornaio, Massage Envy, Miller’s Ale House, Naf Naf Grill, Orangetheory Fitness, Pet Supermarket, Pet Valu, Primrose Schools, Quala, Waxing the City, and Wingstop. For more information please visit www.roarkcapital.com. A lovely lady came into our store today and stood near our adoptable kitten Mama. When I asked how I could help, she said she was just looking and then proceeded to tell me of the heartache she is going through. She was able to grab her family and her dogs but was forced to leave her cats. She is very worried about their wellbeing and unsure if they are OK. I told her that she was welcome to hold Mama. With tears rolling down her cheeks she gave her a good snuggle and I let her know she is welcome to come by anytime to see Mama again. She left with lighter spirits. It is amazing how a little cuddle from an animal can change your feelings. Even more amazing to witness. For Pet Valu, showing support for the people and pets of Fort McMurray is personal. Pet Valu immediately donated $100,000 to the Canadian Red Cross and SPCA when fires broke out in early May as well as much needed products. And so far, our franchisees, stores and customers have raised an additional $84,000 to support relief efforts, bringing the total to over $200,000 so far. Pet Valu stores across Canada are continuing to collect donations in-store. 100% of donations collected in stores are being donated to the Red Cross and SPCA. Beyond just raising money, the company’s stores and Alberta operations teams have been mobilizing trucks of food and supplies to help families in need – including thousands of bags of cat, dog and small animal pet foods and supplies. “Our hearts go out to the people and pets of Fort McMurray, our employees and franchisees at our two Fort McMurray stores. Pet Valu hopes that the $200,000+ our team has donated and raised to aid in the recovery effort will help in some small way,” says Tom McNeely, CEO. “Most important of all, is the remarkable way our Pet Valu team are rising up to offer support and comfort to the community,” says McNeely. 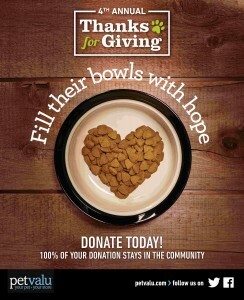 “Pet Valu has been working to get product donations where they are needed the most. The company has transported pet food, treats, and crates, litter, toys and other accessories to where they are needed. Food and supplies were directly donated to the Fort McMurray evacuees through The Royal Canadian Legion, SPCA, The Lac La Biche Evacuation Centre, and through various charities and hotels all over Edmonton and northern Alberta”, says McNeely. Pet Valu Canada Limited www.petvalu.com is the leading Canadian specialty retailer of pet food and pet-related supplies with more than 760 stores across Canada and the US. Pet Valu Canada Limited is a British Columbia incorporated company with its headquarters in Markham, Ontario. The Pet Valu family of stores consists of Pet Valu Canada, Pet Valu US, Total Pet, Paulmac’s Pet Foods, Tisol Pet Nutrition and Bosley’s by Pet Valu. The Pet Valu family of stores pride themselves on providing pet owners with the best selection of pet care items at competitive prices, together with Pet Expert service, at convenient, neighbourhood store locations. 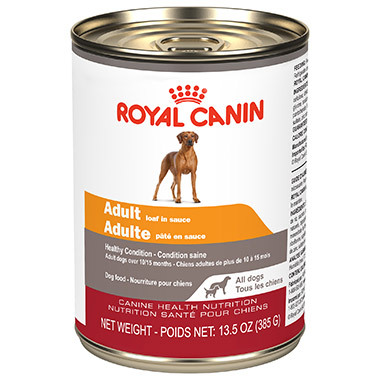 Pet Valu offers more than 7,000 products, including a broad assortment of premium, super premium and holistic private label brands scientifically developed by internal nutritionists. 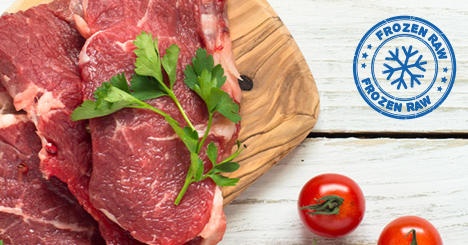 Pet Valu, Paulmac’s, Tisol, Total Pet and Bosley’s team members are true Pet Experts who can help you find the right nutrition and other solutions for your pets. Pet Valu stores are heavily involved in their communities, teaming up with animal rescues and adoption programs, and fundraising for animal shelters. To learn more about how Pet Valu is helping Fort McMurray, please visit: www.petvalu.com or www.facebook.com/petvalu. Canada’s love of pets was in full force this Spring, helping Pet Valu raise a record-setting $2 million for animal welfare charities and rescues across the nation. Animal lovers and the Pet Experts at Pet Valu stores across North America, teamed up throughout April during Pet Valu’s annual Pet Appreciation Month. Since the event began in 2011, customers have donated more than $6.675 million to North American animal rescue charities and found homes for more than 5,700 pets. This year, Pet Valu set its most ambitious fundraising goal of $1.8 million. In addition to surpassing that goal; Pet Valu also made an immediate corporate donation of $100,000 to the Canadian Red Cross and SPCA to aid people and pets affected by the Fort McMurray fire. Franchisees and customers pitched in and in just two short weeks, Pet Valu’s total Fort McMurray donations now top $200,000. “Pet Valu Pet Appreciation Month is our way of showing just how much we love and appreciate the special role pets play in our lives,” explains Rose Ferrante, Director of Marketing, Pet Valu. “Our customers and franchisees showed how much they care, by finding adopted homes for more than 2600 pets in need. Together with our customers and franchisees, Pet Valu also raised an astounding $2 million in dollars and donations, our best fundraising result ever,” says Rose. ● Participating in National Adoption Weekends where Pet Valu stores teamed up with local animal rescue organizations to stage in-store adoption events. Pet Valu Canada Limited www.petvalu.com is the leading Canadian specialty retailer of pet food and pet-related supplies with more than 760 stores across Canada and the US. Pet Valu Canada Limited is a British Columbia incorporated company with it’s headquarters in Markham, Ontario. The Pet Valu family of stores consists of Pet Valu Canada, Pet Valu US, Total Pet, Paulmac’s Pet Foods, Tisol Pet Nutrition and Bosley’s by Pet Valu. The Pet Valu family of stores pride ourselves on providing pet owners with the best selection of pet care items at competitive prices, together with Pet Expert service, at convenient, neighborhood store locations. 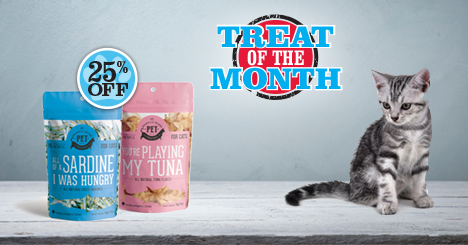 Pet Valu offers more than 7,000 products, including a broad assortment of premium, super premium and holistic private label brands scientifically developed by internal nutritionists. This April, animal lovers and the Pet Experts at Pet Valu stores across North America, are teaming up to lend a helping PAW to animal rescue charities and pets in need. Thanks to its annual April Pet Appreciation Month event, Pet Valu and its customers have donated more than $4 million to North American animal rescue charities and found homes for more than 5,600 pets. This year, Pet Valu has set its 2016 fundraising goal at an ambitious $1.8 million. To help encourage adoptions, Pet Valu is hoping the “rock star” appeal of this year’s Pet Valu Adoption Poster Pet, “Bon Jovi” the cat, will help encourage hundreds of adoptions across Canada. The grey and white tabby was adopted in 2013 at a Pet Valu store when a little boy visiting the store with his family fell in love with the calm, friendly demeanour of the rescue cat. 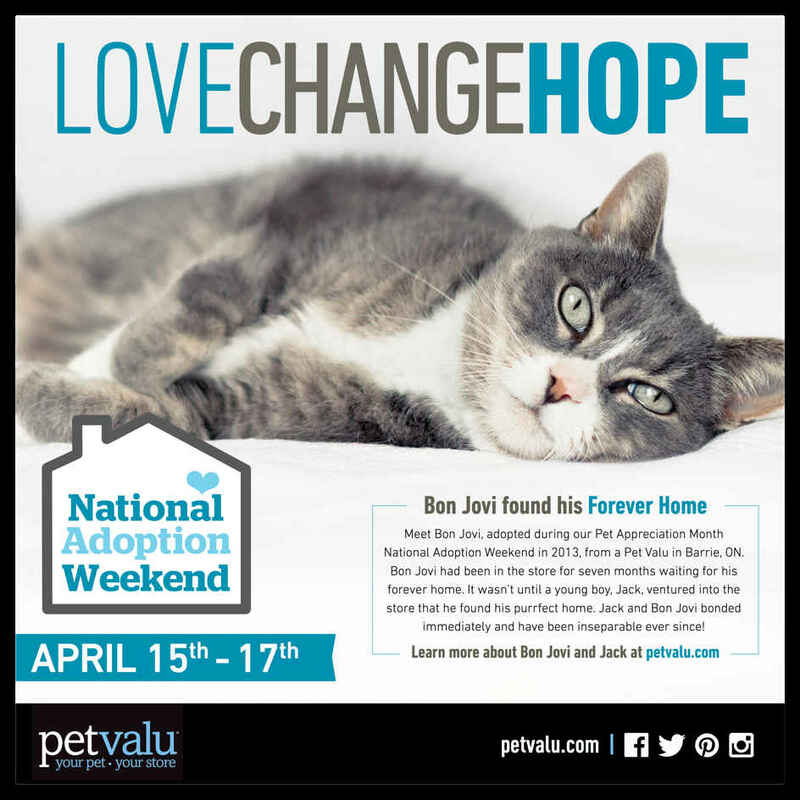 Two years later, “Bon Jovi” is a beloved member of the family and is set for celebrity cat status in his new role as Pet Valu’s 2016 Adoption Poster Pet. 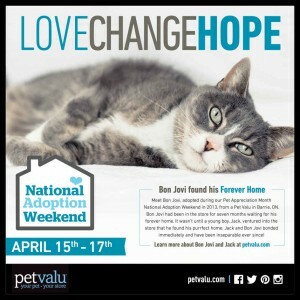 “Pet Valu Pet Appreciation Month raises much-needed money and supplies to support charities that help pets in need, like “Bon Jovi” find forever homes,” explains Rose Ferrante, Director of Marketing for Pet Valu. “About 75% of the animals adopted each year through Pet Valu stores are cats and we hope that prospective adoptive families will visit Pet Valu stores from April 15th to 17th during National Adoption weekend,” says Rose. • Visit your local Pet Valu throughout the month of April, purchase and sign an official PAW for $2, $5 or $10 – or make a product donation to local animal rescue charities. • Help the Pet Valu family of stores donate to pets in need by showing your support on social media. Throughout April, Pet Valu will be sharing #PostaPaw missions on Facebook and Twitter. Every share or retweet will trigger a donation to rescue groups across Canada, up to 5000 cups of pet food or kilograms of litter each week. Pet lovers can also create their own #PostaPaw posts on Facebook, Twitter and Instagram to trigger a donation. 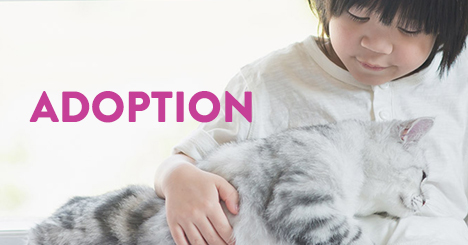 • Participate in National Adoption Weekend from April 15th – 17th when Pet Valu stores team up with local animal rescue organizations to help find forever homes for homeless pets. Pet Valu, Inc. www.petvalu.com is a Canadian specialty retailer of pet food and pet-related supplies with more than 700 stores across Canada and the US. The Pet Valu family of stores consists of Pet Valu Canada, Pet Valu US, Paulmac’s Pet Foods, Tisol Pet Nutrition, Total Pet and Bosley’s by Pet Valu. The Pet Valu family of stores pride themselves on providing pet owners with the best selection of pet care items at competitive prices, together with Pet Expert service, at convenient, neighborhood store locations. 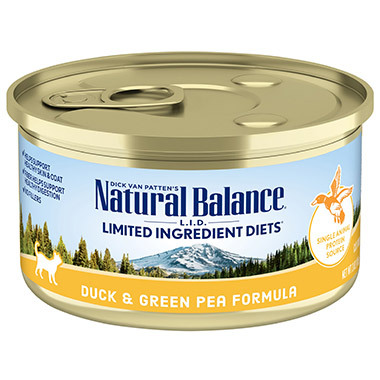 Pet Valu offers more than 7,000 products, including a broad assortment of premium, super premium and holistic private label brands scientifically developed by internal nutritionists. 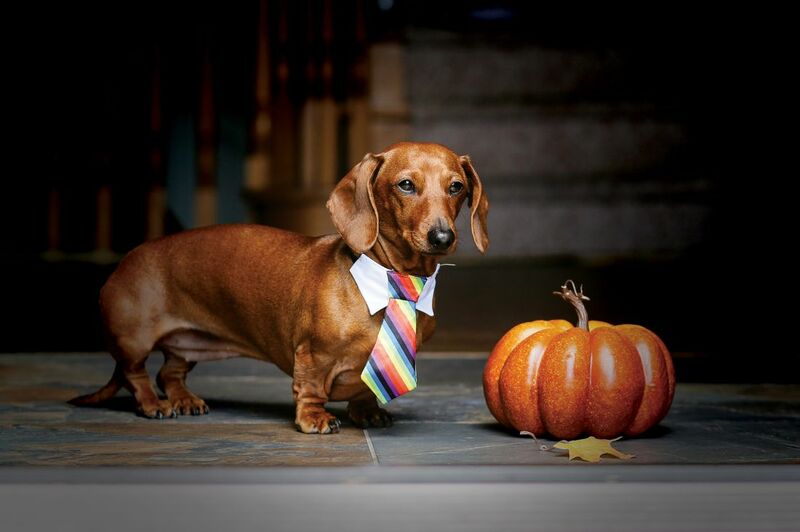 Trick or Treat your Dog Into An Adorable Photo Op this October 31st. What do Minions and your dog have in common? 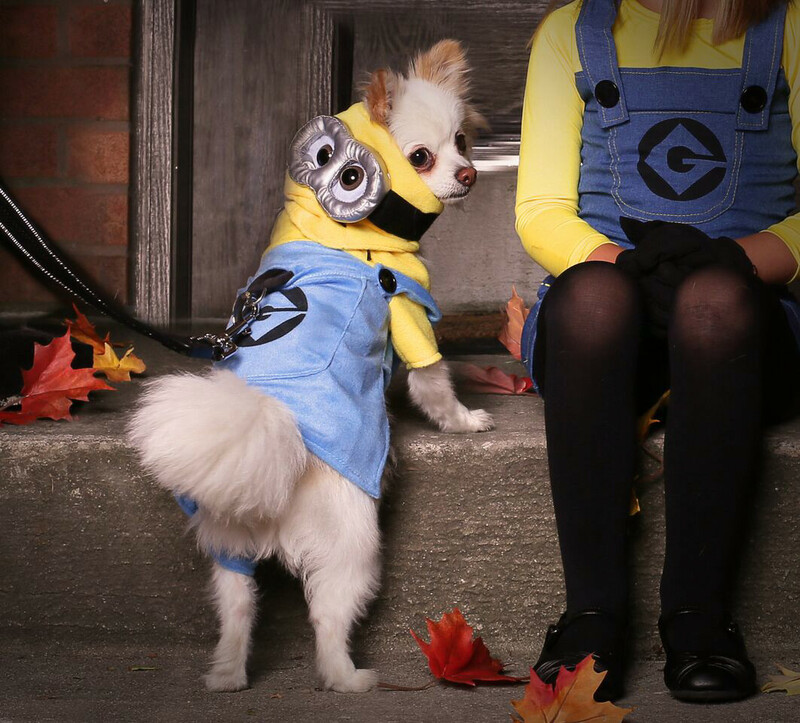 Just like minions, pets are your partners in crime, and that’s why Pet Valu is predicting The Minion will be its most popular pet Halloween costume of 2015. This week, Pet Valu debuted its top pet costumes for the 2015 Halloween season. No surprise, the ubiquitous Minion is Pet Valu’s top pick, followed by Bat Dog, the perennially popular Pumpkin and last year’s best-selling canine costume, The Hot Dog. 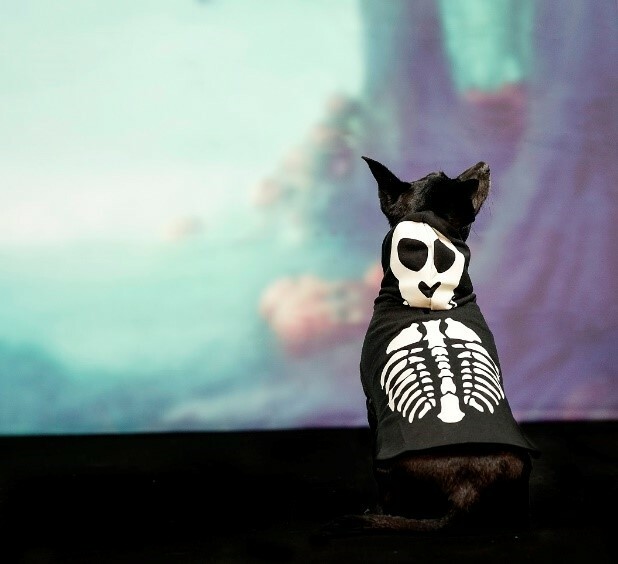 “Every year, the Halloween trend for pets gains more momentum,” explains Rose Ferrante, Director of Marketing, Pet Valu Canada. “Pets are part of the family and Halloween is a fun time for families, so it’s only natural that we want to include them in our annual photos on Facebook and social media,” says Ferrante. Ferrante estimates that about two thirds of Pet Valu’s Halloween costume sales are for small and medium-sized dogs; although the chain does offer a full range of options for larger pets. “Another fun trend we’re seeing is matching costumes; where pet owners dress their children and dogs in coordinating costumes. So for instance, Bat Dog and Robin – or Minion Dog and Scarlett Overkill,” says Ferrante. “Some dogs don’t mind being put into a costume for a brief time and will happily pose for pictures; while others find it very stressful,” says Ferrante. “It’s important to know your dog and only do what he or she is comfortable with and can tolerate. 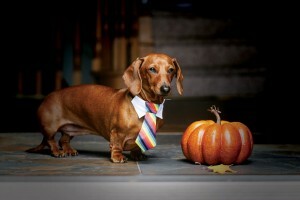 Choose a costume that’s specially designed for pets to be sure pets can comfortably sit, walk and jog,” says Ferrante. To help keep dogs visible to drivers and trick or treaters, Ferrante recommends outfitting pets with an LED collar clip-on or reflective collar. In addition to bringing along clean-up bags and treats, Ferrante says pet owners should also give pets lots of encouragement throughout the Halloween family photo op or trick or treating excursion. Chocolate and other Halloween goodies are dangerous for dogs, so Ferrante reminds pet owners to keep candies out of pets’ eyesight and reach. And, for those pet lovers who want to treat canine trick or treaters at the door, Ferrante suggests fun, healthy and affordable pumpkin treats, which Pet Valu sells in multi-pack bags. To give thanks and help pets in need, Pet Valu stores are accepting product donations for local shelters all throughout October during the chain’s 4th annual Thanks-for-Giving event. Pet lovers can help by visiting their local Pet Valu store and donating an item from local charities’ Wish Lists. 100% of customer donations go directly to local pets in need. Pet Valu, Inc. is a Canadian specialty retailer of pet food and pet-related supplies with more than 600 stores across Canada and the US. The Pet Valu family of stores consists of Pet Valu Canada, Pet Valu US, Paulmac’s Pet Foods, Bosley’s by Pet Valu, Jack’s Pets and Tisol. That’s how much caring animal lovers and the pet experts at Pet Valu raised for North American animal charities during the specialty retail chain’s 2015 Pet Appreciation Month. Today, Pet Valu announced its 2015 April fundraising event generated a PAWsome $1.5 million for pets in need. And, thanks to the dedication of Pet Valu franchisees and local rescue charities who hosted April in-store animal adoption events, 2400 pets found Forever Homes. “Since we began Pet Appreciation Month five years ago, our message has been simple – Buy a PAW, Help a Pet,” explains Rose Ferrante, Director of Marketing, Pet Valu. “We’re excited to announce this year’s campaign was so successful, we surpassed our stretch goal of $1.5 million by raising total dollar and product donations of $1.52 million,” confirms Rose Ferrante, Director of Marketing , Pet Valu. Rose says that over the past five years, Pet Valu fundraising totals $7.12 million for North American animal rescue charities. During that time, Rose says Pet Valu stores have helped more than 6,000 rescue pets find Forever Homes. “We’re so proud that Pet Valu Pet Appreciation Month raises much-needed money and supplies to support abandoned pets in need,” says Rose Ferrante, Director of Marketing, Pet Valu. “100% of the products and dollars raised are donated directly to pet charities, and money raised at our stores, stays in the local community,” explains Rose, adding that hundreds of North American charities benefitted from donations. Posting on Facebook or Twitter using the hashtag #PostaPaw. For every post, Pet Valu donated a cup of food to animal rescue charities. Visiting local Pet Valu stores to purchase and sign an official PAW for $1, $2, $5 or $10. 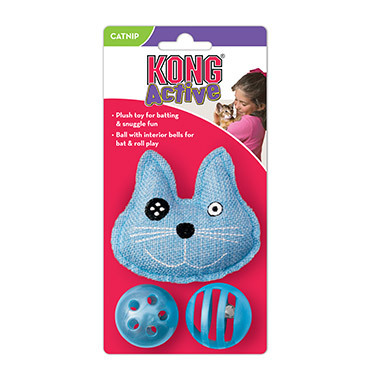 Customers could also make in-store product or supply donations to local animal rescue charities. Pet Valu stores and customers across Canada donated more than a half million dollars to local pet charities during the third annual Thanks for Giving event and National Adoption Weekend. Homeless pets and the organizations that support them received crucial support through these generous donations and many deserving pets found new Forever Homes. Over $500,000 in much needed food and supplies was collected and delivered to local shelters, rescues and charities by Pet Valu stores. 100% of the donations received remained in local communities. 1,592 adoptable pets in need of loving families found their Forever Homes during National Adoption Weekend. Local stores worked directly with pet charities in their communities to determine what supplies were needed most, and organized inventive ways to encourage customers to participate. Stores hosted activities and events such as BBQs, food trucks, pumpkin sales, nail trimming, craft sales, and microchip clinics. 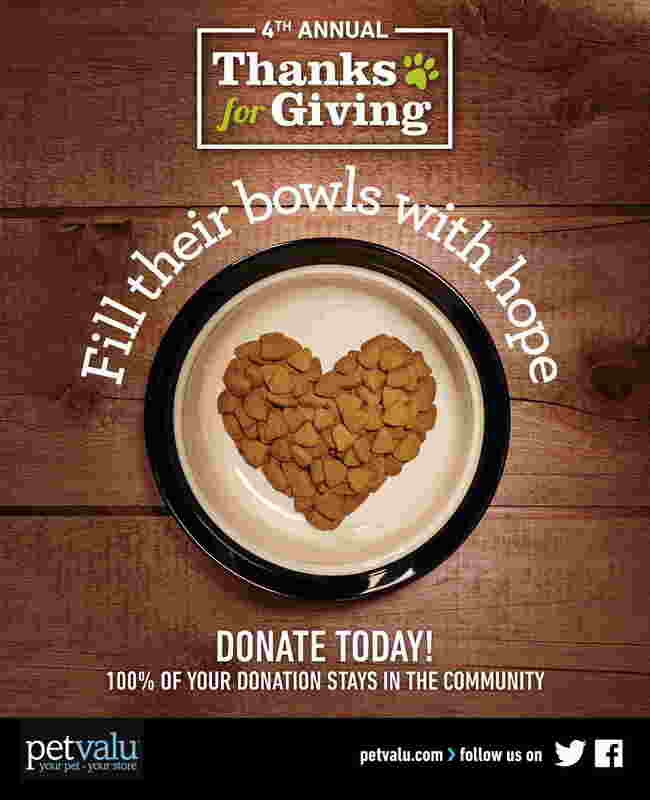 The annual event ran from October 1 to 19 at Pet Valu stores across Canada and was supported online by a can drive from Pet Valu’s Facebook page, where followers dedicated an additional donation of 10,000 cans of pet food for pet rescues. Thanks for Giving is just one of Pet Valu’s programs that helps support local shelters, rescues and community organizations helping pets in need. During 2014 alone, Pet Valu stores helped raise over $1.5 million dollars for pet charities and worked with local animal organizations to find Forever Homes for over 4,500 deserving pets. Pet lovers can continue to support homeless pets by visiting any Pet Valu location and donating to the year-round Pet Food Bank. To find out more, and learn how you can help, visit your local Pet Valu store, www.petvalu.com or www.facebook.com/petvalu. Pet Valu, is celebrating paw-some news for homeless pets in need! Thanks to generous pet lovers, Pet Valu and its family of stores raised more than $1 million in cash and supplies to support abandoned, abused and homeless pets in Pet Valu communities during April’s Pet Appreciation Month. Now in its fourth year, Pet Valu enlisted the help of Morgan, a five-year old Great Dane from Southwestern Ontario, and Guinness-record world’s tallest female dog as its official spokespet ― helping to raise mammoth awareness for homeless pets. With Morgan’s support, not only did Pet Valu surpass its fundraising dollars from last year, Pet Valu stores found fur-ever homes for 1,878 animals in need ― surpassing last year’s adoptions by 120! Throughout April, pet lovers were invited to visit Pet Valu, Paulmac’s and Bosley’s locations across the country to show their support by buying an official PAW for $1, $2, $5 or $10, or donate much needed products and supplies, including toys, food, litter and bedding. Pet lovers also had the opportunity to meet local pets in their community in need of loving homes as Pet Valu stores partnered with local shelters and charities to host in-store adoptions during its National Adoption Weekend from April 11th – 13th. “The outpouring of support we received this year is phenomenal,” says Julie Johnston, VP Merchandising & Marketing, Pet Valu. “Thanks to the generosity of Canadians, we’re able to help even more animals and shelters in Pet Valu communities throughout Canada,” adds Julie. Julie says that having Morgan as an advocate for Pet Appreciation Month, amazing local support by Pet Valu customers, franchisees and local events including micro chipping, silent auctions, and workshops with trainers all helped contribute to this year’s extraordinary fundraising result.